One of my favorite events of the year is the annual Gathering of Nations Powwow held in Albuquerque at the end of April. I like it because, well, it's a powwow (and who doesn't like a powwow!? ), but also because of the Indian Trader's Market. Aside from the cheesy name, the market is a great place for me to scout new talented artists to promote and add to the Beyond Buckskin Boutique. Beadwork artists, in particular, are in abundance (seriously! 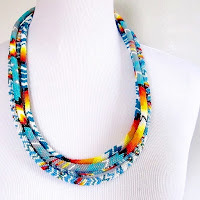 ), and I just love beadwork! In fact, I met two of Beyond Buckskin's newest artists, Cherokee sisters Monā and Precise' Lossie, at last year's powwow. 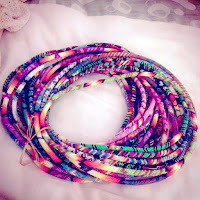 I was drawn to their booth table because of the sheer number of peyote stitch necklaces that they had available. 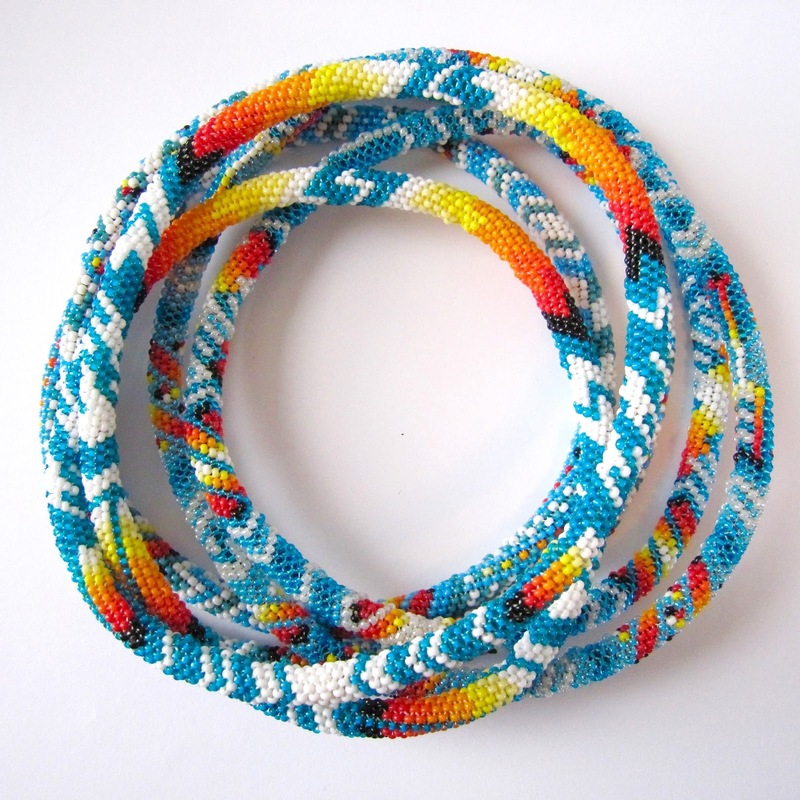 The peyote stitch technique is an intricate one, where each bead is woven onto a form (in this case, a rope necklace). Bead by bead, the necklace slowly grows. It takes a lot of patience, skill, and an ability to visualize the pattern three-dimensionally in your mind. It is a hard technique to master, there's really no short cut, and it is an easy one to mess up! Yet these sisters are able to produce numerous one-of-a-kind necklaces with vibrant tribal patterns and designs. Amazing. They are both members of the Eastern Band of Cherokee Indians, born and raised on the qualla boundary that most refer to as the Cherokee reservation in North Carolina. 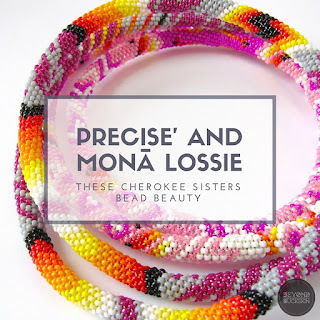 I connected with Precise' (pronounced Precious) to learn more about what inspires their work. BB: Thank you for taking the time to share your world with us! Can you tell our readers how you started beading jewelry? PL: My sister Monā taught me how to bead using peyote stitch, which is all we do when it comes to beadwork, no looms and no flat stitch. We've been doing our beadwork since 2010; it started as a hobby and progressed to a fun job. We don't have a business because we mostly just like the idea of freelance right now, and we travel to powwows to sell our art. I bead the intricate designs mostly based on boredom. Since peyote stitch takes so long, I freehand my designs and flip from one to the other just to keep from getting bored. My older sister Monā Lossie (pronounced Monay or Monet) does a bolder type beadwork which she refers to as cartoonish. She likes her necklaces and beadwork to look clean and organized as opposed to mine which could come off as cluttered and chaotic. Our designs and styles are like night and day. BB: Peyote stitch can be a fun yet challenging technique; what process do you go through to create your work? PL: Our beading process consists of, first, finding colors we think look good together. 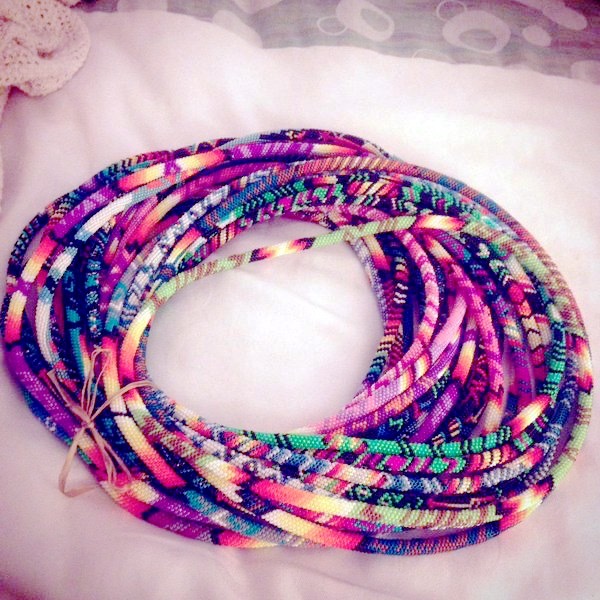 I start from one end of a strip of cord and bead a set of designs at random. 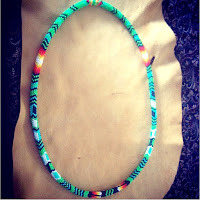 Then, when I get to the middle, I bead backwards so one end matches to the other. When I come to the end of the strip of cord, I bead the two ends together to create a seamless connection. My sister Monā starts and finishes hers the exact same way. Neither of us plan our designs beforehand. BB: What inspires your work? PL: We were raised by our grandmother and mother and started in art with basketry. 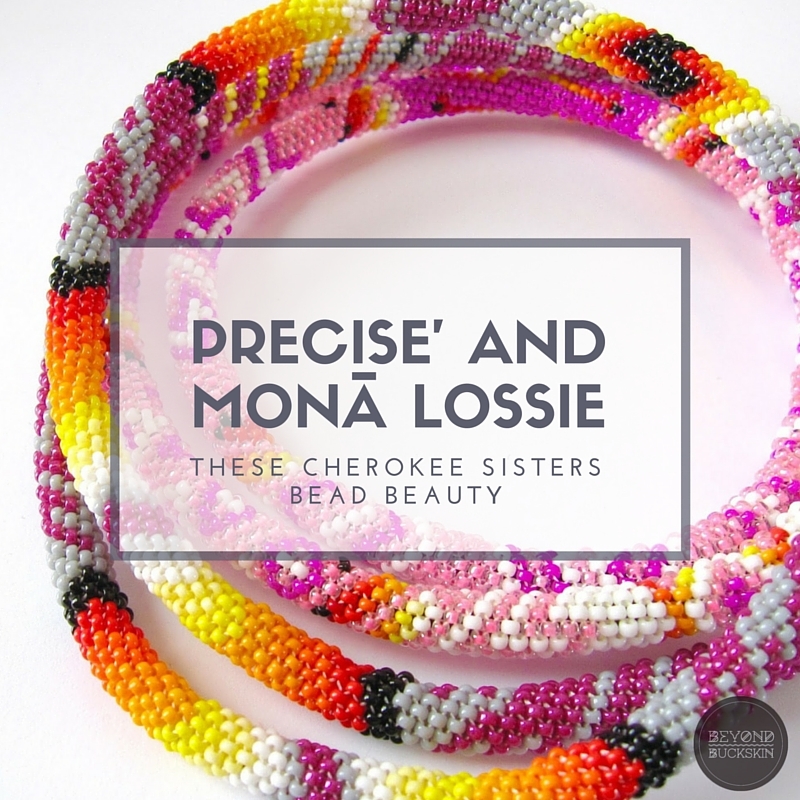 Our family is known for their baskets and have made a name in museums and Cherokee art history. We both know how to make baskets and gather all the materials to create an authentic basket but we enjoy the colors of beadwork and we connect with the beauty and storytelling that the beadwork is suppose to exude. Our grandmother Mary Jane Lossie created amazing art in her basketry and taught us to do the same. Our mother Ramona Lossie and aunt Lucille Lossiah also create the most beautiful baskets. Every necklace we make is inspired by them, each other, and the stories we intend to tell. My sister and I are taking it one day at a time and what happens in the future, or doesn't happen, will be great. We woke up one day and decided that no matter where we are, we're happiest on the road. So, that one thought put us back on the powwow trail. The only thing different now is that we're artists vending instead of dancing. We have a lot of passions but the most important is the one that currently has our hearts. I write and my sister has music constantly dancing in her head. Our main goals are to not waste time being unhappy or overthinking anything. View their collection online now at this link. Follow them on Twitter and Instagram. 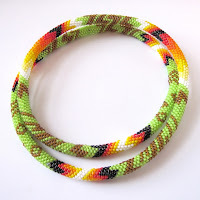 Peyote stitch can be a fun yet challenging technique; what process do you go through to create your work? the impossible quiz full game.